As a 501 C3 non-profit organization, Caregiver Volunteers of Central Jersey has been offering free senior citizen care and volunteer opportunity for 20 years. The company’s services include medical transportation, grocery shopping, friendly visits, and respite care, as well as caregiver kids, multi-cultural, Alzheimer’s respite, and caregiver’s canine programs. 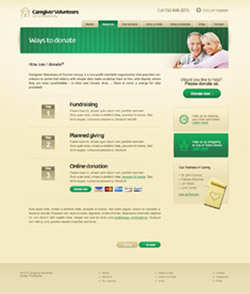 By putting care, people and service first, CVCJ positively impacts the lives of many seniors and volunteers. INCORE spread Caregiver Volunteers of Central Jersey’s mission and digital outreach. Our objective was to show CVCJ as a trustworthy organization, one that truly cares about the older generation and seeks individuals with similar values wanting to give back to the community. We wanted people to experience the warmth and dedication of this organization and to become a part of it. 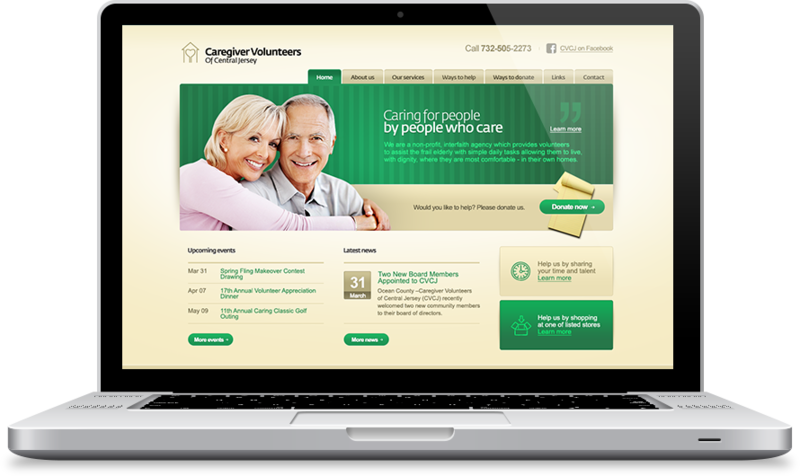 Caregiver Volunteers of Central Jersey makes senior citizens' needs and dignity its priority. The organization's mission is to enable the elderly to experience their lives fully by completing daily tasks with assistance from volunteers. Because CVCJ knows that older people feel happy and safe in familiar environments, the company provides care in the seniors' homes. Thanks to people's monetary and hands-on support, Caregiver Volunteers of Central Jersey continues to spread its wonderful message and serve the older generation. Individuals can help by sharing their time, skill and joy or by donating money, fundraising, and shopping at listed stores. 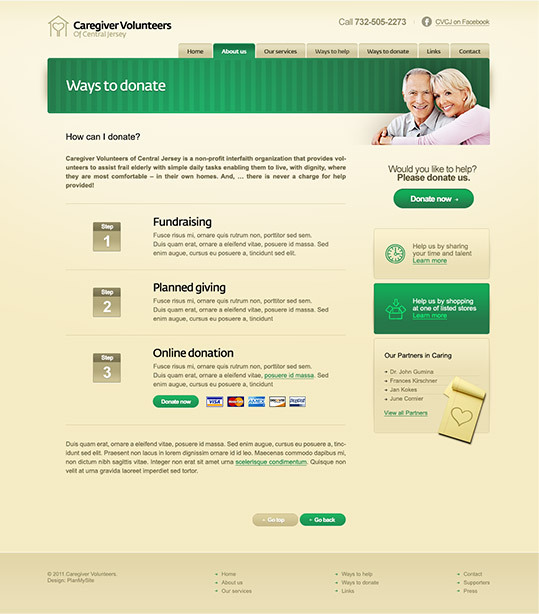 When creating the website, INCORE's goal was to show that people do make a difference and to encourage all readers to explore the website, open their hearts, and join the mission. 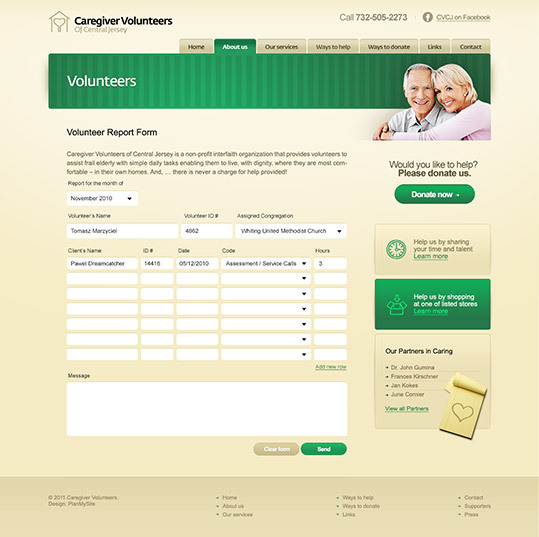 Volunteer Report Form allows volunteers to detail their services and provide feedback. It also enables Caregiver Volunteers of Central Jersey to gather data for its recording purposes. INCORE created this tool to help CVCJ collect all reports and save time, and to make it more convenient for both volunteers and the organization, thus improving CVCJ's efficiency.